NSC officials confirmed Happer’s new role but declined to provide further detail about the appointment, which CNN first reported. An emeritus physics professor at Princeton University and a former Energy Department official under former President George H.W. Bush’s administration in the 1990s, Happer is well-known for his public criticism of mainstream climate modeling and his ties to the Trump administration. Happer told The Scientist that the significance of climate change has been “tremendously exaggerated” and has “become sort of a cult movement in the last five or ten years.” Happer also said President Trump, who has referred to climate change as a Chinese hoax, agreed with his assessment. A good move. Just hope he can deal with the flac. The green blob will be spitting mad and will get nasty. wow! umbrellas and raincoats advised unless you want to get the results of exploding heads on ya, ha ha ha! This will surely be all over the LSM on how PDT is endangering the lives of our grandchildren by killing the planet with the Satanic Gases. cognog – when were the green blob not nasty, if opposed? Brilliant appointment by President Trump. 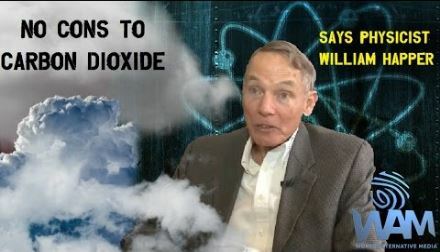 Professor Happer has more brains in his little toe than the entire climate “science” community. [Happer] has written numerous articles that are “mainly” about the infrared absorption bands and Google Scholar finds over 1,000 articles that contain his name as well as “infrared”. So when it comes to the main physical effect that is supposed to drive “climate change”, he’s not only an expert. He’s one of the world’s leading experts. CNN and doomsaying crackpots in general surely find this fact inconvenient but this inconvenience doesn’t make it less true. Greenpeace will predictably say he’s a shill of ‘Big Oil’, but to do so, they’ll have to point to ‘evidence’ they felt compelled to concoct, which they used in their subsequent ambush of him immediately before U.S. Senator Ted Cruz’s Dec 2015 Senate hearing. As I described here, http://gelbspanfiles.com/?p=3431 , the only thing Greenpeace’s embarrassing stunt accomplished was to reveal how they NEVER had evidence proving skeptic scientists are paid to spread false information. A stake through the heart of bad public policy based on climate alarmism. Now Mr. Trump put David Dilly as the overseer to the National Weather Service (NWS).